It’s week 2 in our Creative Spaces Blog Hop and today we change themes to talk about our favorite tools. Over the years, I’ve collected a few gadgets, some have become favorite tools and others, well, they patiently sit in a drawer/closet waiting to be rediscovered! So these are just a few tools I use on a regular basis… they truly help make my happy place even more enjoyable. The Crossover II by Crafter’s Edge is a magnificent tool with many uses! Perfect for cutting applique shapes, I especially love it to cut circles out of wool… and you know how much I love circles! I’ve had English Paper Piecing on my wish list for a very long time and recently gave it a try… yes, I’m totally in love! Crafte’s Edge open die made it so easy to fussy cut my hexies out of fabric, but not just that, there is a second die to cut the hexagons out of paper! Of course, I’m new to this technique, but you know I’ve been collecting a few EPP supplies and tools and find this tool to be an absolute joy when prepping my little hexies! But wait, there’s more! As a machine embroiderer, the squares die set is a wonderful way to trim your appliqued blocks down to size. These are some of the blocks in my Holly Jolly pattern that were machine appliqued and trimmed down to a perfect 6 1/2″ square in seconds! The squares die set includes 12 dies from a 1 1/2″ to a 7″ square, in increments of 1/2″. So many possibilities, right? Voila! Perfect for these little pillows. And another wonderful feature of the Crossover is the ability to use dies from other die cutting systems! I love applique… turned, reversed, raw edge, etc., but I mostly do fusible applique, so you can just imagine how many irons I’ve gone through, but not so much that, but the time it takes to set the fusible onto the fabric, and after searching for a quicker option I decided on this Heat Press. An oh yes, it was a very good decision! Love the 15″ x 15″ pressing area, the ability to set the temperature and amount of pressing time, and of course, the right color… an important factor, haha! I set the temperature based on the fusible, but it’s typically around 300 degrees. … yes, hot and easy to burn my little fingers! After mentioning it to a friend, she suggested these little gloves sold at a beauty supply store. Awesome idea!!! Oh yea, it changed everything and now I use my knee lift for not just applique, but almost all sewing. Do you have one stashed away, waiting to be loved? Scissors… I love my scissors, especially these Kai scissors! They have a serrated edge, perfect for cutting out applique shapes, and I use all three, depending on the size of the shape I’m cutting. The Gypsy Quilter’s Cutting Gizmo… yes, it sat in that drawer until, yup, a deadline, lol! It’s the perfect tool when chain piecing, and now, it has a special place right next to my sewing machine. So one day, while shopping at my local quilt shop I saw this cute little pair of “scissors”… yes, I do have a thing for scissors, and this unusual little thing just called my name! And oh my, what and awesome find! The angled blade of the Tool Tron Sidehopper snips is perfect for trimming little threads that are hard to cut with regular scissors. Did you know that Schmetz color codes their needles? As a fan, I find their pocket guide very useful when choosing needles for a specific project, and love the Color Code Guide luggage tag with an at-a-glance way to identify the needle in my sewing machine. Love, love free motion quilting, both on my longarm and domestic sewing machines, and gloves help to push all the bulk of a quilt through the small opening of a sewing machine. The gloves by Swan Amity Studios are fabulous! The palms are padded, the wrists are adjustable, providing wonderful support, they breath, and the tips are touch screen friendly, so no need to remove or cut them off to change the settings on your machine! And last but not least is the Zirkel magnetic pin holder! I love it so much, there’s one next to each of my sewing machines. It has a strong magnet and the best thing is how it fans the pins out, making it easy to grab the pins without poking your fingers! So these are just a few favorites and I may share a few others over the next few weeks as we talk more about our creative spaces. I’d love to hear about your favorite tools! Enter below to win some of my baby fabric and Schmetz guides. Don’t forget to visit Tammy! She’s also sharing her favorite tools with us today. And if you haven’t already entered our Grand Prize, visit my first post in the Creative Spaces Blog Hop! This entry was posted in Applique, Embroidery, Fabric, Giveaways, Holiday, Machine Embroidery, My Studio, Organization, Pincushions, Tools and tagged Benartex, Bernina, Contempo - Benartex, Crafter's Edge, Give-aways, Pincushions, tools. Oh Jayne, just give yourself a little more time, you will love it! I do have a knee-lifter and enjoy it when I use it… I’m just wondering why I don’t use it more???? I was looking at that Crafter’s Edge Cutter. Gotta see if I like this more than that GO! It looks as if it has many many more options in sizes and the cutters look more condensed. I need space saver options! Thanks for sharing so many of your choice sewing aides. I will be looking many of them up! Have a great day Cherry! Thanks Anita! Those are some of the things that drew me to the Crafter’s Edge Crossover, especially being able to use dies from other companies! thank you so much for the fabulous information about tools. I had no idea that the die cut machines could be used to trim up. My favorite tool is still my rotary cutter with a fresh! blade. Laura, I always get a little nervous when it’s time to trim my blocks and it’s so nice to place the die exactly were you want, run it through the machine, and you’re done, with less chances of a missed cut! I’m as loyal to my spray bottle as she is to me! Yes, I was the same with my knee lift – it’s now a mostly permanent fixture in my machine. I agree… a must have! The only time I remove my knee lift is to use the embroidery module. I love my rotary cutter, made cutting out pieces so much easier and more accurate. Oh yes Kathy, definitely a necessity in our tool box! I love my Zirkel and Best Press. Yeah, especially the lavender scented Best Press! I think my favorite tool is my Olfa Splash Rotary cutter 🙂 Plus my bazillion rulers! That is also a favorite of mine! What a cooool Cutter!! KNOW I neeeed one! giggle… Right now my favorite tool is my Rotary Cutter..my Husband got me a Martelli (Sp? forget..) one for Christmas (& for left handed quilty Daughter too) Looove it!! Lori, you must have one! I too love the Martelli cutter and mats! Carol and with you, they have awesome rulers! I really love Quilters Select mats and rulers. Favorite tool? haha, way too many to list. But if I had to pick, it would have to be my clip-on magnifying glasses that clip on to my regular glasses. I would not be able to do much quilting/sewing, etc. without them. My gingher threads snips! Love those! I use a 3m hook on the front of my machine to hang my thread snips. My favorite tool right now are the Wonder Clips which I use to do my EPP. But I would have to say Wonder Clips are my very favorite! Wow, my knee lifter is an essential piece of my equipment in my studio! Thanks for sharing your list of goodies. It is so fun to see what everyone chooses as their fav. Wonderful new tools for me to contemplate… I’m especially enthralled by those odd looking scissors. I’m sorry but my favorite tool is the rotary cutter. See…I was sewing before rotary cutters and that invention was revolutionary. Now I have lots of them in different styles and different sizes. Heaven! I LOVE my knee lift! I had a bit of trouble at 1st–kept trying to make the machine go by pressing against the knee lift! Finally realized I was doing that because my mother’s machine when I was in high school, was in a cabinet & you pressed your knee against a pedal attached to the cabinet at knee level to make the machine go. That was a great machine! she purchased it around 1962, I think–a Singer! The knee lift is news tome but looks useful. I like to use a frixion marking pen as it is easy to see and easily irons off. I’m going to have to try the knee lifter. At this point my favorite tools are EPP templates. I love all your tools!! I learned to sew with a knee lift. It was built into the sewing machine cabinet and the foot pedal went into the cabinet and the knee lift controlled the foot pedal. I had trouble learning to use the foot pedal. Of course, I learned at a fairly young age, I wish my sewing cabinet had a knee lift. It was a nice wide knee lift.. Also, who makes your heat press? I’ve been looking at them. My daughter asked me to make a t-shirt quilt for her from sorority t-shirts and I have lots of them. The thought of standing at the ironing board for hours to iron the stablizer is staggerin – I am disabled. So, I’ve been looking at them and then I thought that it would come in handy for other projects, too. I love the look at some of your favorite “gadgets.” Thanks. Thanks for sharing your list of favorite tools. Mine would include the Quilters Select weighted rotary cutter and Sew Select table for machine quilting. I like my turntable cutting mat for trimming blocks. All my rulers, I don’t work on a project without using one of them. One of my favorite tools is my Martelli rotating mat. I really like my rotary cutter and rulers, I can’t imagine quilting without them. I must admit I have enjoyed using the Accuquilt machine at my quilt shop and it would be my favorite if I owned one. Thank you for sharing some of your favorite tools. I really like the Schmetz needle guide as I sometimes forget which needle I have in the machine. My favorite tool is my rotary cutter even though I occasionally cut myself! So much faster for cutting pieces for quilting. My favorite tools are the Creative Grid rulers and my rotating cutting mats. Gosh, it’s hard to choose a favorite tool, but the rotary cutter has revolutionized quilting in my books. I learned to sew with a knee pedal so I am having a real problem with the knee lift lever. In my mind, I think that lever should start the machine!!! It’s hard to teach an old dog a new trick. Use mine all the time! my Stripology2, too! I purchased a Cricut press a few months ago and love it ?. Perfect for pressing these little fusible appliqué projects. Loved your idea on gloves and need to get some. I love my Zirkel and my Gizmo too! They’re right there next to my sewing machine! My other favorite is my wool pressing mat. Fabulous!!! I am a beginning quilter, but aside from loving all the help and hints I get from everyone, I love my Oliso iron. It stays on for a long time and I don’t have to think about turning it on its’ heel. I never sew without the knee lifter so much so I struggle with machines that don’t have it. I love the weird scissors, and you heat press. I struggle with my fusible too. Either it detaches from the fabric or it gets burned out. My favorite tool is “That Purple Thang”. Thank you for sharing your favorite tools. I have never seen the Crossover before. I have the Sizzix and Acquilt. 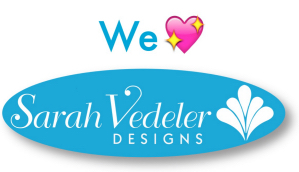 I checked out their website and I can use Crossover dies on my Sizzix machine. Woo Hoo. My favorite is Quilters Select mats and rulers. I’ve never used a die cutter but have always wanted to try one. My favorite tool is my Creative Grid ruler.